As a performer, composer, arranger, and educator, Dr. Geoffrey Haydon has successfully bridged both the classical and jazz styles. Known as a classical and jazz artist, he has received rave reviews in his solo, chamber, and concerto performances given throughout the USA, in Europe, Russia, China, Japan, South America, and Central America. He is also in demand as a clinician and adjudicator. Dr. Haydon also regularly performs with the Atlanta Ballet Orchestra and has performed with touring shows including The Phantom of the Opera, The Producers and most recently Will Rogers Follies at the Strand Theater. He has numerous publications with Alfred Publishing, Warner Bros., Stipes Publishing and is co-author of Jazz History Overview, a textbook by Kendall Hunt Publishing. Dr. Haydon can be heard on Gershwin Plus – Piano Solos and Novelty Arrangements, a solo piano CD of George Gershwin’s music available on the ACA Digital label. Dr. Haydon has articles published in Clavier Companion and is an artist/clinician with Roland US. 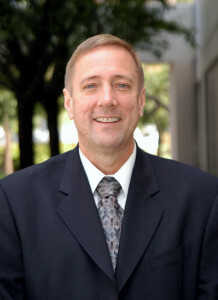 Currently, Dr. Haydon coordinates the piano faculty at Georgia State University where he teaches applied piano, piano literature, jazz history, and jazz theory.